Easy and effortless, Gunjan Jain’s creations might look too simplistic at first glance but when inspected in detail, they bear the stamp of her painstaking efforts to revive the dying ikat weaves of Odisha. Witnessing her interaction with an award-winning master weaver from Neopatna in Odisha is testimony to her understanding of the passion that these unsung heroes infuse into their art. Extensively working with the single and double ikats of Odisha in the districts of Cuttack, Sambalpur and Bargarh in Odisha, Jain has imbued a thread of luxury and elegance into the traditional weave. 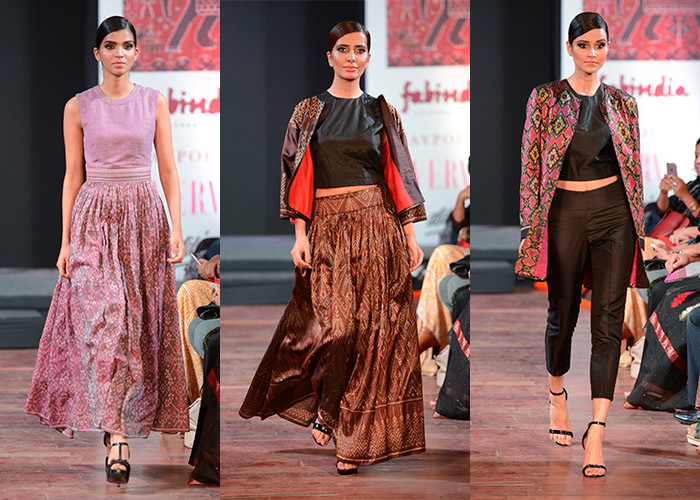 Like most fashion school graduates, Jain started her career in the apparel export industry. 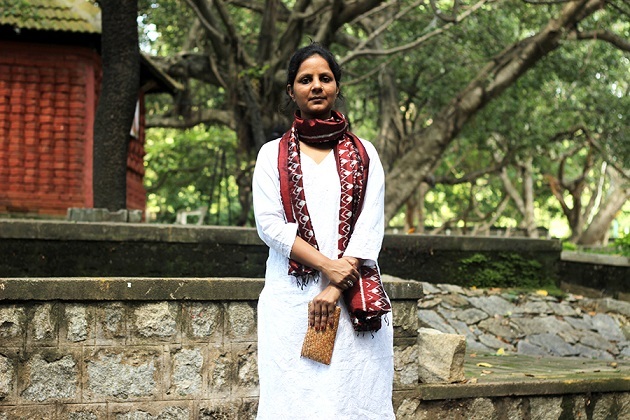 Disillusioned with the industrial process of making clothes and their resultant commoditisation, she moved to Odisha where she set up her design studio Vriksh in Bhubaneshwar in 2008. “Those early years in Odisha with one of the world’s oldest and greatest traditions of ikat weaving changed my life”, she recalls. Among the different weaving techniques and fabrics Jain and her team of weavers work with, Vriksh has grown significantly in the famed Tussar Jala work and the intricate ikat weaves displaying motifs of Geet Govinda and other delicate patterns. Her saris are a maze of stunning motifs woven dexterously by some of the oldest weavers of Odisha which she breathes new life into through pop colours and tones. Dedicated to the cause of reviving weaves like Bomkai and Dhalapathar, her separates are smart, sharp and chic and indicate how an old craft can attain new dimensions. Vriksh has been doing extensive research and developing new weave constructions to make softer Tussar sarees and stoles combining it with different natural yarns. “We want to inject contemporary aesthetics into each design, but also ensure that traditional techniques are not dismissed as redundant,” Jain says.